Another set of ideas for you! 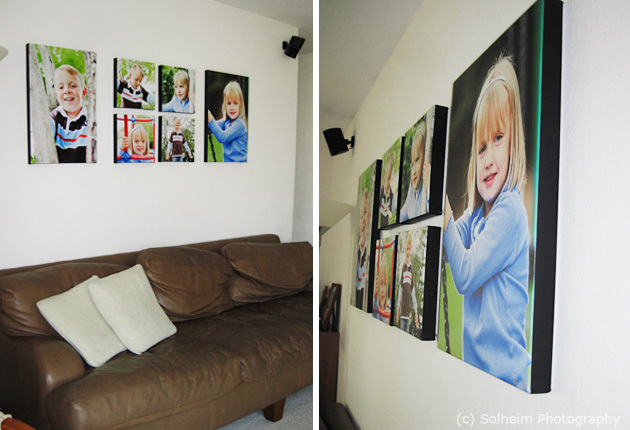 I had the infrequent treat of helping one of my clients put up her wall display of canvas gallery wraps a few weeks ago. What fun! Not only did I get to visit with her a bit, I got to see the final result. It’s so gratifying to go from concept to digital rendering to the real thing hanging on the wall. The theme was clear – playtime – perfect for a family room, eh? You can see the full session here. 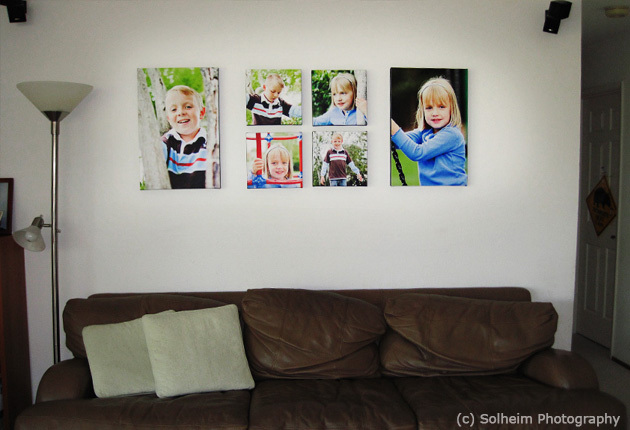 The side anchor portraits are 16″x24″ and the squares in the middle are 11″x11″. Each canvas gallery wrap is 1.5″ deep with black side edges and dust cover on the back. 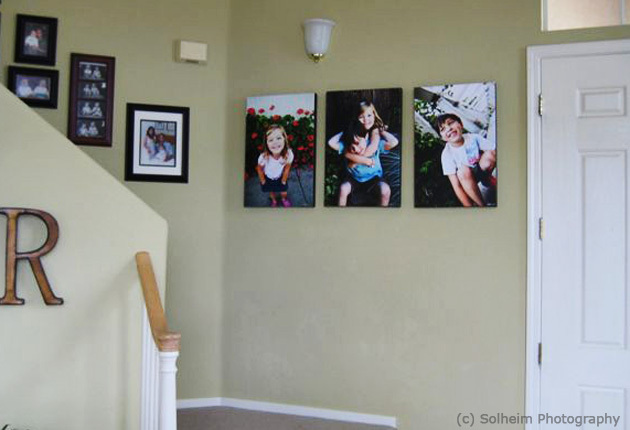 Another client already started a wonderful display of photos going up her stairs. The original spot for her artwork was the wall at the top of the stairs that connects a couple of bedrooms. But once she had the canvas gallery wraps up, she decided she wanted to move them to a spot where any visitors could enjoy them as well. 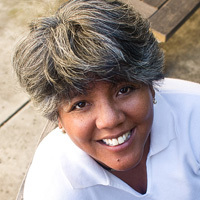 So, she cleared the wall at the landing at the bottom of the stairs. It’s such a fabulous display and I’m so glad she sent me these photos. You can see the full session here. Each canvas gallery wrap is 16″x24″, 1.5″ deep with black side edges and dust cover on the back.